Your postural condition is as unique to you as your fingerprint. That's why Stabilizing orthotics are individually designed for you based on your scan and lifestyle. 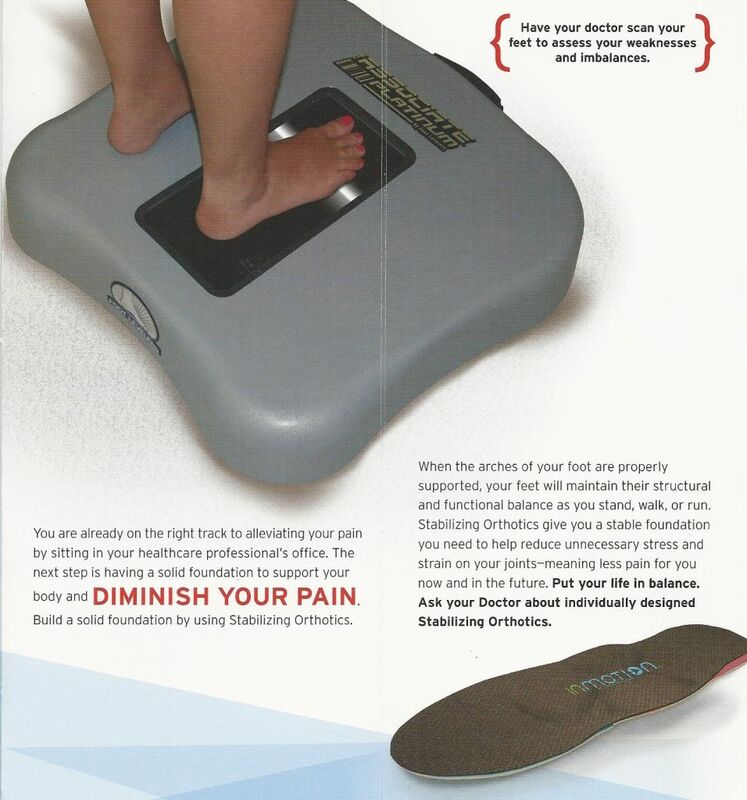 Height, weight, shoe style, and daily activity level are factors that are applied to making your Stabilizing Orthotics. How can orthotics help your spine when they are for your feet? Your feet don't have to hurt for them to be causing pain everywhere else in your body. Feet are just the starting point for pain throughout your body. Stabilizing Orthotics are positioned under your feet, so they can provide you with a balanced and solid foundation. When you don't have a balanced foundation it causes postural stress and pain in different parts of your body. The difference for your body can be found in Stabilizing Orthotics supporting your 3-arched structure. The structural support for the entire body's equilibrium is gained from your feet. Combining chiropractic care with orthotics can provide long-term care for your life in balance.